Administrative and clerical help is needed to keep business operations organized and running smoothly. The folks in these positions are a critical part of the foundation of any business team, helping team members across departments perform efficiently. 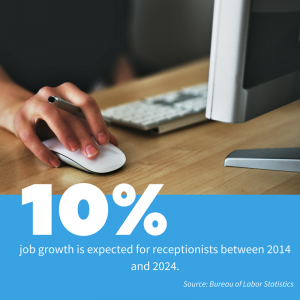 And with sales reps spending 31% of their time on admin tasks, administrative help can seriously increase productivity. As a leading professional staffing firm, we have been recruiting and staffing top professional talent for administrative positions in some of the nation’s leading companies since 1968. This includes finding expert talent for flex, flex-to-hire, and direct-to-hire administrative roles for a variety of industries, including financial services, healthcare, technology, and more. Through our extensive experience, we’ve learned what makes an excellent job fit for both administrative job seekers and employers. Whether you’re a job seeker looking for your next administrative job or an employer searching for a new executive assistant, we’ll work closely with you until you’re matched with a solution that fits your unique needs and helps you move forward. Below, you can find the multiple administrative or general clerical positions we actively recruit for on a regular basis and have experience in staffing. Entry-level administrative and clerical staff are needed to perform important tasks like data entry, schedule maintenance, and other organizational duties. This requires individuals that are detail-oriented and have strong organizational skills. Over the last 50 years, we’ve connected skilled administrative professionals with small, mid-size, and large companies across the Midwest. Senior-level administrative workers have greater responsibilities, including office management, bookkeeping, or being a gatekeeper for an executive. Businesses demand senior-level administrative talent that is organized, professional, and experienced with superior communication skills. 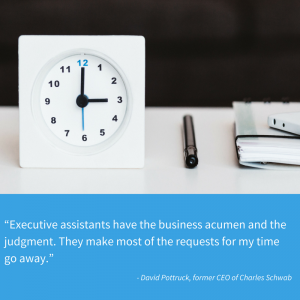 Through our proven track record as an administrative staffing agency, we understand that senior-level administrative roles often serve as the face of the company and the voice of executives. We work closely with leading administrative professionals and a variety of client companies to find the perfect match.